Katniss and Peeta came out victorious in the 74th annual Hunger Games, but things do not end there. There’s a discontent within the districts, with brief hints of rebellion. The Capitol and President Snow weren’t blind to it, and intend to snuff it out while preparing for the next Hunger Games. And part of the plan is the victory tour throughout the districts to instill hope, to give a sense that all is fine and to carry on. Not exactly easy to pull off when the two victors defied the Capitol with their controversial win. 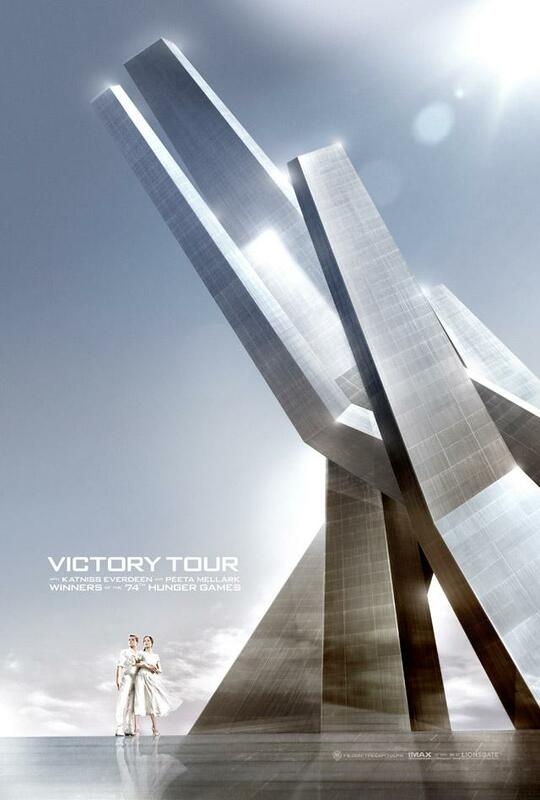 To make things worse (okay, I mean better) Katniss uses the victory tour to spark a rebellion against the Capitol. 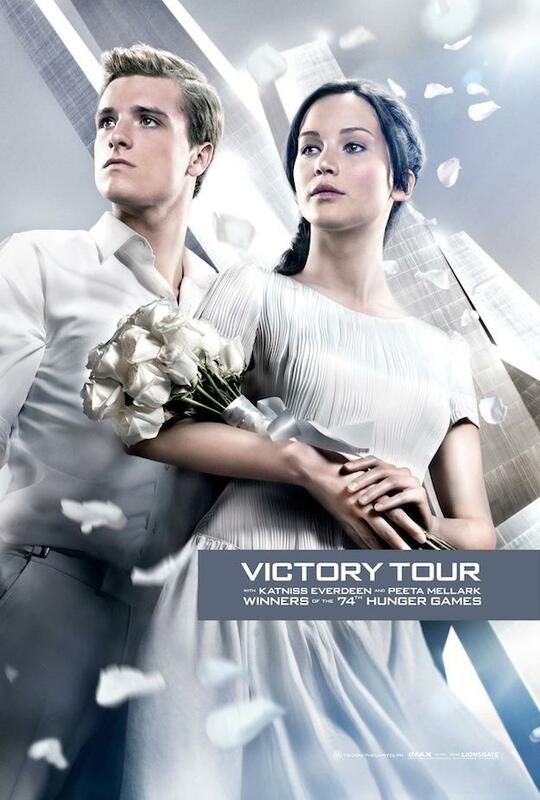 Two posters were released for The Hunger Games: Catching Fire, featuring Jennifer Lawrence and Josh Hutcherson as Katniss and Peeta. The first photo with the heroic poses fits perfectly for a propaganda poster, while the other feels more imposing with the fixture behind them. It gives off the whole Capitol’s tyranny-over-the-districts feel. The Hunger Games: Catching Fire is slated for release November 22.